What Does "Image May Be Subject to Copyright" Mean? Images are widely available on the Internet. In fact, doing a simple search can yield hundreds of images that can easily be copied and pasted, or downloaded for later use. However, because images are readily accessible does not mean they are without copyright protection, although determining the identity of a copyright owner is not always obvious or easy. For this reason, online entities often include the disclaimer, "image may be subject to copyright" on or near photos. Copyright law protects original works of authorship, including artistic, literary, dramatic and musical works. For example, books, movies, songs and software may be copyrighted. Original works on a website, such as photos, artwork and writing, are also copyrightable. To use a copyrighted work, permission must be obtained from the copyright owner. Sometimes permission is not required because the use meets an exception; for example, the work may be old enough to be in the public domain. Using someone's work without permission is copyright infringement, which can result in a lawsuit and penalties, such as damages and attorney fees. Search engines return images when you conduct an Internet search. Along with the search results, you may see the disclaimer, "image may be subject to copyright." This may also appear on or near an individual photograph. This language places the user on notice that someone may own the copyright to the image. As a result, the user cannot reproduce, distribute or otherwise publicly display the photos without permission from the copyright owner, unless the use meets an exception. Similar disclaimers may also appear on individual websites. U.S. Copyright Office: What Does Copyright Protect? Smashing Magazine: Copyright Explained: I May Copy It, Right? Your webpage is technically copyrighted as soon as it is placed in a tangible medium such as the Internet. In order to further protect your website you should consider registering for a formal copyright so that you will have the ability to sue any third parties that might misuse your materials. Copyrighting your webpage is not a difficult task, but copyright protection will only extend to certain aspects of your webpage, such as writings, artwork and photographs. A copyright will not protect your domain name, any functional aspects of your website, or any elements of your website that are common or otherwise part of the public domain. 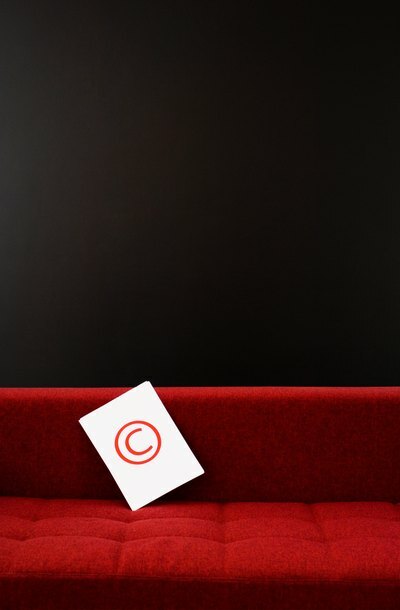 Can You Use Copyrighted Material in Advertising? Copyright laws protect a creator's right to his original work -- and limit others from using that work. Copyrighted material that you may want to use in advertising include photographs, song recordings, art and pieces of literature. However, copyright laws generally prohibit profiting from a work when someone else owns the rights. If you violate someone's copyright, you may be sued and could have to pay damages and attorney's fees.